Network Design is one of the main jobs of a network engineer and he would like to document the designed network. There are network tools available for the same. We have evaluated 6+ Network Design tools and provided a review of the best network design tools available. These tools are open source software or online Network Design Tools. These tools have all the figures of all the standard network components to build out the network diagram. 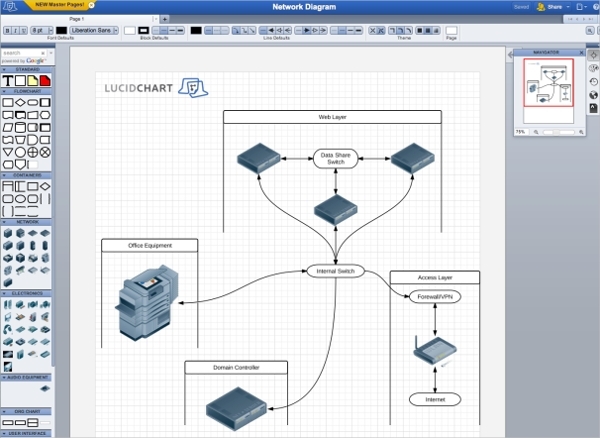 LucidChart provides a Network diagram and a design tool. 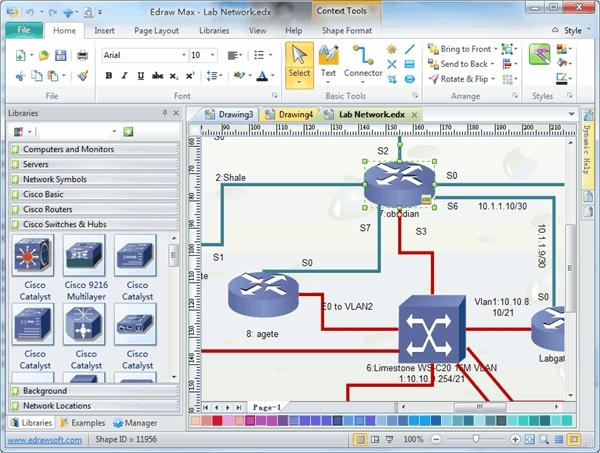 It is easy to create the network design by just dragging and dropping the components. It has a library of network diagram shapes from Cisco and other vendors. Then we can easily adjust the layout as per requirements. 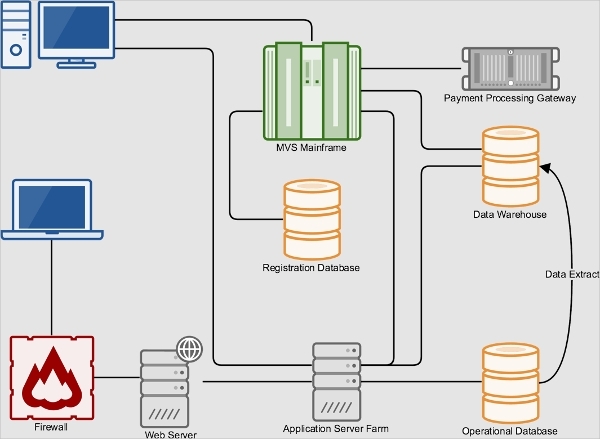 It integrates with software like Google Apps and you can import and export to Visio. Creately network design tool is available online on the cloud and also on desktops and servers. It has a very easy drawing tool. It has smart shapes and connectors available. It has library images available and which can be used to create your network design. There are thousands of templates for use and can collaborate with other users. Draw.io is a free online network design tool. One can save the network design to Google drive, Dropbox, One Drive or other storage. 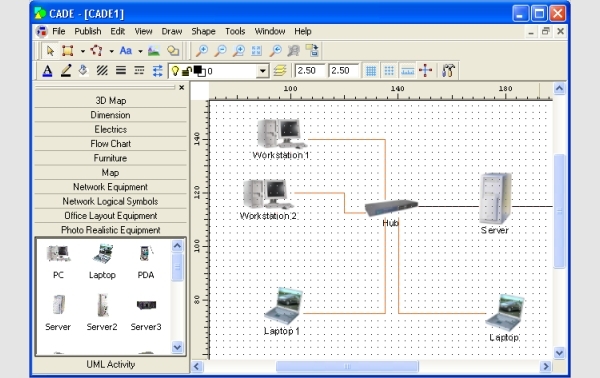 It has simple drawing components which one can drag and drop to build your network diagram. It has a lot of diagrams available for your use and can create a library and save it for further use. This software is available from WERESC and is called CADE. It is a good software for making detailed network design documentation. Pre-drawn shapes for network equipment especially cabling is available. These shapes can be extensible. It supports layering and we can make layers invisible based on our needs. Network Engineers or Designers may work on different platforms like Windows, Mac, and Linux and hence need the tools available on the required platform. We will discuss few tools below which will work on separate platforms. This tool is available on multiple platforms like Mac, Windows, and Linux. It is available under GNU license and this means it is free. It has a simple intuitive interface and has a library of all the symbols and the components needed to make a network diagram. 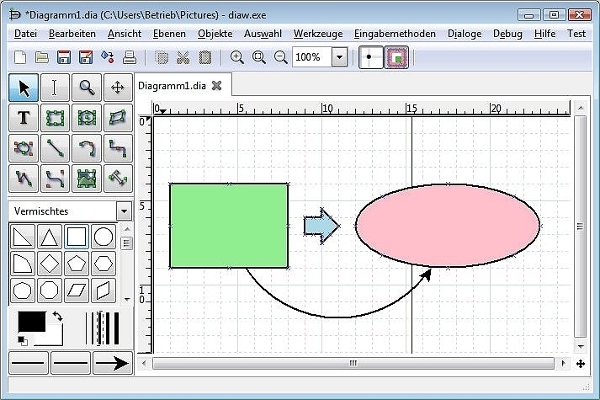 E-Draw is a software available on Windows and Mac and is a free download. It has a big library of images for Cisco equipment. It will draw 200+ types of Network diagrams and has an easy to use interface for creating these designs. It integrates well with Microsoft products. Gliffy is an online network design tool. It is very fast as it uses HTML5. It is easy to use as we have to drag and drop the various shapes and put it together. There are various templates available and we can reuse it to create our own network design. We can import Visio files. What is Network Design Tool? As the complexity increases, it is a good practice to document using the network design tool. It is available in the cloud or on the desktop. It is a vector based software similar to Da Vinci network designer and has the necessary tools to create network diagrams easily. We have described 6+ Network Design Tools and mentioned their main features. You can choose the tool from the above recommendation and create useful network diagrams. Based on your need you may go for a cloud-based tool or a desktop based tool.